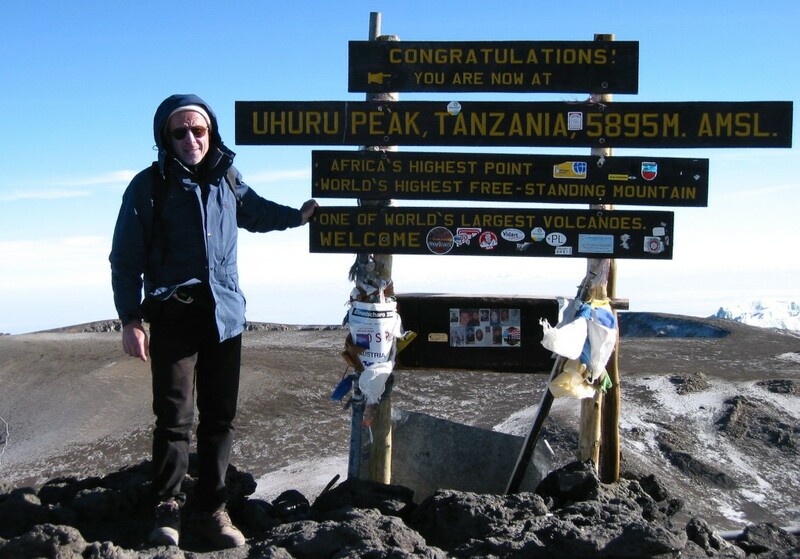 Today we interview experienced German traveller Axel Wacht who has been to every one of the world's 193 countries. Unlike most interviews, most of his pictures - apart from the first - will be presented chronologically. Axel, tell us a story from your first travels that has had a great impact on who you are today. In 1946 at the age of two, my father was deported from Germany to Russia. He could take everything with him: his whole family and the rest of our household that was left after a bomb attack. 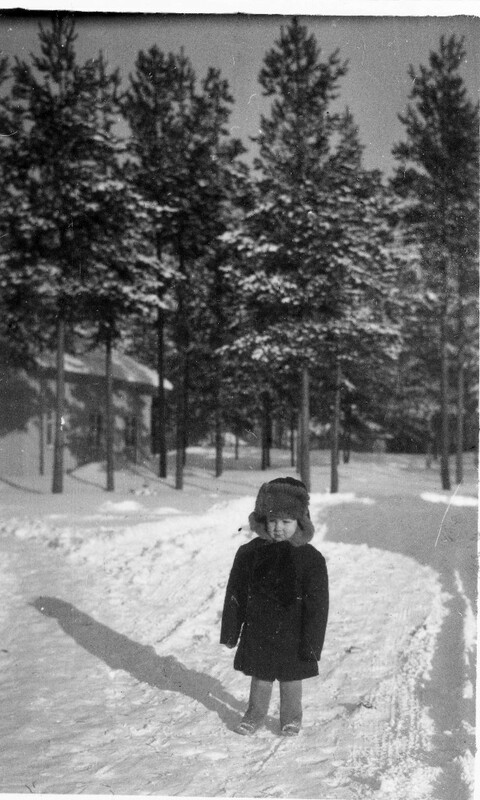 I cannot remember the one week long travel by train to a place some 100 kilometres north of Moscow, but I do remember the journey back home when I was 7 years old. 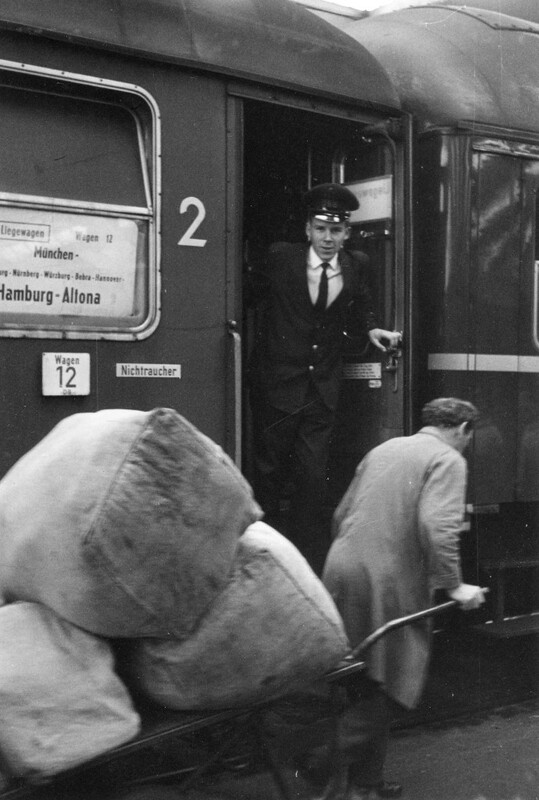 At several stations our train was placed at a freight terminal for a considerable time. To reach the city, like Smolensk or Minsk, we had to cross railroad tracks and waiting cargo trains, which at any time might have moved forward. This “adventure” impressed me, not so much my parents, but it can be seen as the starting point of my further life as a traveller. I dreamed of becoming a train driver on the Trans-Siberian Railway. Tell us something about your early years and Axel non-traveller. After this post-war experience I grew up and studied in Munich, Germany. Travelling was only possible with my parents in a very limited range of Austria, Italy and Switzerland. 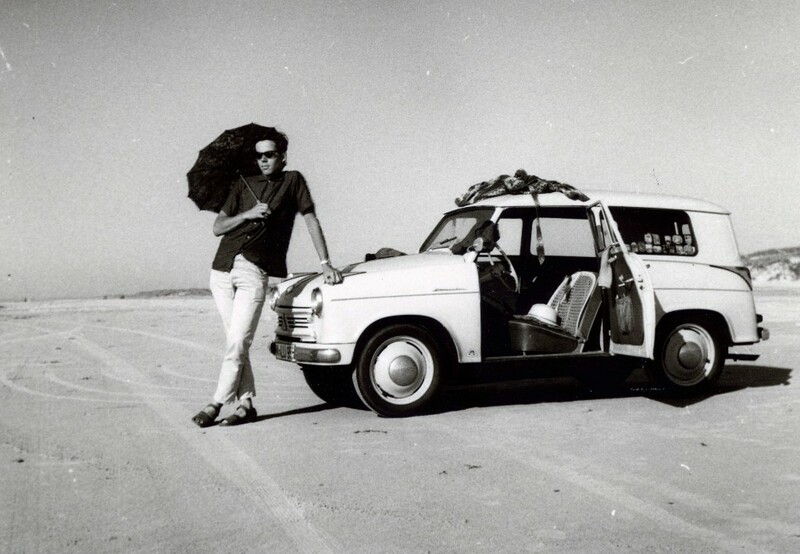 Becoming older, I started hitch-hiking all over Europe and northern Africa. Sometimes I joined friends in their car, but it took a long time until I bought my first own vehicle, I preferred to spend the money for travelling. With my first self-earned money I went to America and Asia. The latter voyage only by train and regular ship. Flying long distances was too expensive in the 60s. During my studies I had time and a bit of money to travel as a backpacker around the world. My major wish to study Geography had been rejected by my parents and so I became an engineer. I married and got 2 children - a very normal life. Later on, I got the chance for 2 overseas assignments of the company I was employed at. Together with my family, we spent 3 years in Argentina and 4 in South Africa. New horizons opened up for an unknown environment to explore. Equipped with a 4X4 and the necessary tools, it was a completely different experience to travel directly from home through deserts and over high mountains. Especially in southern Africa we enjoyed the unique countryside, filled with lots of wild animals. Later, back home in Germany, we missed this kind of free movement. Therefore I bought a motor-home and we could explore many parts of Europe and surrounding countries, from the North Cape to Western Sahara. With my early retirement, a new phase of travelling began. Time was no more a restriction and I could spend at least half of the year abroad. Still I like the variety of travel modes, be it with a small group in a difficult to explore region, with my wife or friends or also alone in an African country, using public transport. Is there any difference in how you pack now, compared to your earlier traveller days? I would not say there is a big difference in what I packed before and nowadays. It rather depends on the kind of travelling. As a backpacker, I always tried to carry as little as possible, taking into account the need to walk long distances with all my possessions. Additionally it depends on the destination. In Asian countries it is easy and cheap to get public transport, even for short distances. On the other hand I hiked the Way of St. James from my hometown in Germany and had to reduce my luggage as far as possible. When I used my own vehicle, whether at home in Germany or at an accommodation in a different country, weight is not a problem. But then you need proper equipment to handle unforeseen situations. While travelling with my own car in Argentina with inappropriate tires, I had to change and repair these at least 30 times, sometimes also twice before reaching the next workshop. In this case I needed the tools to change a tube and inflate it. 1961 alongside the beach at Roenne, Bornholm, Denmark. How did you discover TBT NomadMania? I did not grow up using social media which is the common practice nowadays. A friend once accompanying me on common trips, also a member of NM, told me about it. First I was a bit reluctant, I studied the system and also that of competitive platforms. Then I was convinced and joined as a member because it was the only one that satisfied my requirements. Listing of the UN States is obvious, but finding a rather homogenous structure of our earth is rather difficult. Any attempt of a regionalisation will always be arguable, that includes the old and the revised structure of NM. But I like the 1281 regions as a good basis to start visiting the whole of the world. Using series in addition may be helpful, but I can define also my own „series“, concentrating on what interests me personally most. 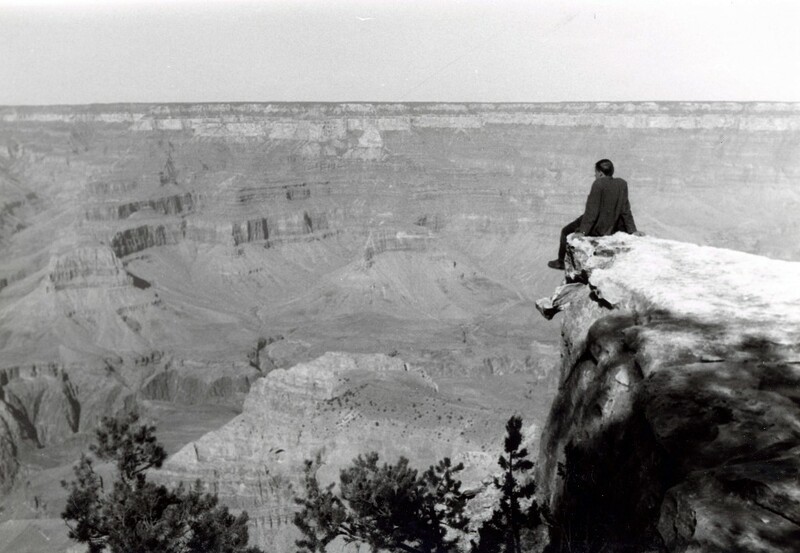 1964 at the Grand Canyon. What is the oddest place you have ever spent the day or night? During the Christmas holidays in 1993, together with my family, we set off on a long trip with our motor-home. Via France, Spain and Morocco, we reached Western Sahara, aiming for Ad-Dakhla on the Atlantic. It was about 60 kilometres south of El Aaiún, when one tire burst and because of the high speed, our motorhome lurched and finally fell aside, just across the highway. Fortunately, besides my broken wishbone, nobody was injured. The motor-home, however, was nothing but scrap as we learned afterwards. There was nearly no traffic to help us. About half an hour after the accident, a service car of the Paris-Dakar Rally appeared like an angel, equipped with all kind of tools to support a broken car. As we blocked the road and the rally would arrive soon afterwards, they were obliged to help us. Within a few minutes they managed to put our motor-home on its 4 wheels again and moved it aside from the highway. The motor still worked, but 2 tires were completely destroyed. With one of them I hitch hiked to the next town and returned late at night with a repaired wheel. At the spot of the accident, alone in the desert, we spent the night inside the completely damaged motor-home, but at least we could sleep there. Next morning we slowly drove back to El Aaiún from where we had to arrange further steps with our insurance. As mobile phones were unknown at this time, it took 3 days to communicate from the post office via several intermediate insurance offices to plan our trip home and that of the damaged motor-home. The latter was put on a flat-bed vehicle and sent to Germany, while we received airplane tickets to fly home. That was the end of travelling with my own motorhome. If you were 'condemned' to one country for the rest of your life, which one would you choose? 20 years ago, being a bit younger, I might have said „Botswana“. It has a healthy dry climate, not everywhere a spectacular countryside, but a relaxed atmosphere. Many times I enjoyed a weekend trip into the Kalahari. Preparing a nice resting place for the night, collecting firewood and observing the sunset while watching wild animals coming to a nearby waterhole. On the camp fire you grill a piece of good meat and enjoy it with a good South African red wine. Today I would rather prefer Greece, also a very relaxed country. Getting every amenity, beautiful countryside, testimonies of one of the greatest civilizations on earth and friendly people. There is the Mediterranean Sea all around you as well as mountains of all size and height. History and legends accompany you every step you are doing. As long as you stay away from the main tourist centres, it is the perfect place to live. But for the future I think, I will rather stay in Germany, my home country. Getting older, social and medical support, provided at home, proves to be much better than in nearly all other countries on earth. 1966 - a job as a train conductor. Describe us the moment when you decided that you want to be a ‘country collector’. Most of my previous life I never thought of collecting countries. Many times I travelled to Nepal, because I like the Himalaya and its people. On the other hand, I tried to see many different countries and not going to the same place again and again. About 5 years ago, I realized, that I had already visited nearly 170 countries and the remaining ones might also be accessible, though some of them a bit more difficult than others. An Excel sheet helped me track my success in finalizing all of them. 2 years ago, I had just become a member of TBT, I visited Niger, the last country on my list. Looking backwards, some of the countries were rather easy to go in my youth, like Syria, Iraq or Afghanistan. The first two I did in 1972, while for the latter I waited until 2015. You have great photos that you shared with our community on our website. What is the secret for a great photography? I have never been a professional photographer. I don‘t like to carry huge and heavy equipment and I don‘t have the patience to wait long for the very best moment of the click. With a small pocket camera, always fixed at my belt, I am happy. My only recipe for good photos is moving around as much as possible, that means walking around in cities, in the countryside or elsewhere. With open eyes you always find new motives and chances to get a perfect shot. My first camera I received at the age of fifteen, black and white paper development. In those times I always had to think twice before I clicked, each photo was rather expensive. Later I passed several development stages of the photo industry, like colour slides, super 8 movie camera, video camera and finally all kinds of digital cameras. As digital photos are standard nowadays, I scanned all my old paper or slide photos to keep them on one single system. 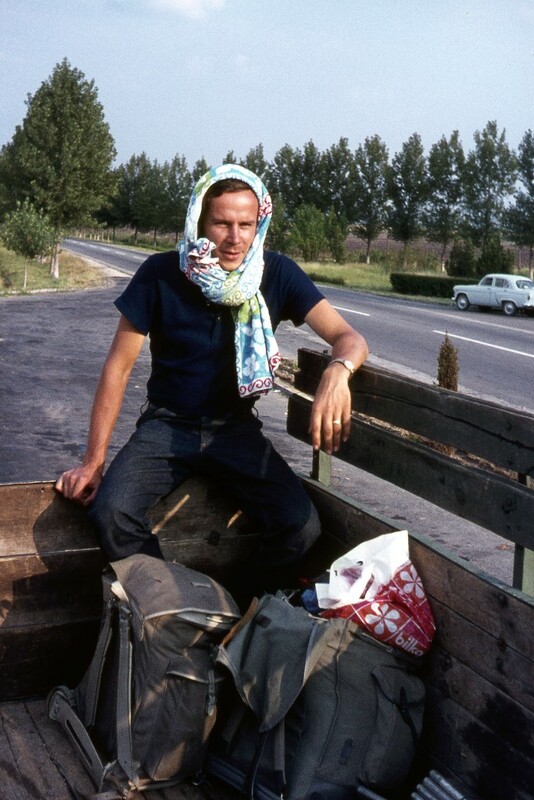 1970 - hitch-hiking in the Balkans. You have visited all UN countries, so, what is the plan for your next destination? I just got back from a relaxing trip to Indonesia and the Philippines, beach life and snorkelling included. Right now I'm off to Bangladesh and to some of the NE-Indian states. My list of non-visited regions is still long and certainly I have to postpone quite a lot of them to my next life. After having seen most of the highlights of each country, I enjoy travelling to the lesser visited areas. Last year I visited Russia twice by train, going to places like Saransk or Tyumen, which attract nearly no foreign tourists. Unhurried you can walk through these cities, watching people and visiting now and then a local museum. You don’t have to fight with hordes of tourists for an entry ticket or try to make a photo without being disturbed by other posers. Among the continents I like Africa very much and I am interested in its exploration and history. At first I would invite the Portuguese explorer Bartolomeu Dias, the first to circumnavigate the Cape of Good Hope which he named Cape of Storms. He was mainly interested in finding a trade route to India, touching only a few spots along the western coast of Africa. His voyages to completely unknown areas of the earth can be compared only with the exploration of the space in our days. Secondly I would choose David Livingstone, the Scottish missionary and explorer, searching for the source of the Nile. His experience of an untouched central Africa would be of great fascination to all of us. Furthermore I would like to invite Heinrich Barth as an explorer of northern Africa in the middle of nineteenth century. He was the first white man to explore several places of the Sahara and Sahel region. He travelled long distances all over the continent, learned many languages and documented his findings carefully. Finally I would like to invite Joseph Conrad, the Polish-British writer and seaman. It was not all his life that he spent in Africa and he was never an explorer like the others, but his novella “Heart of Darkness” is everywhere well known and Conrad experienced at least 3 years on a steamer on the Congo River. 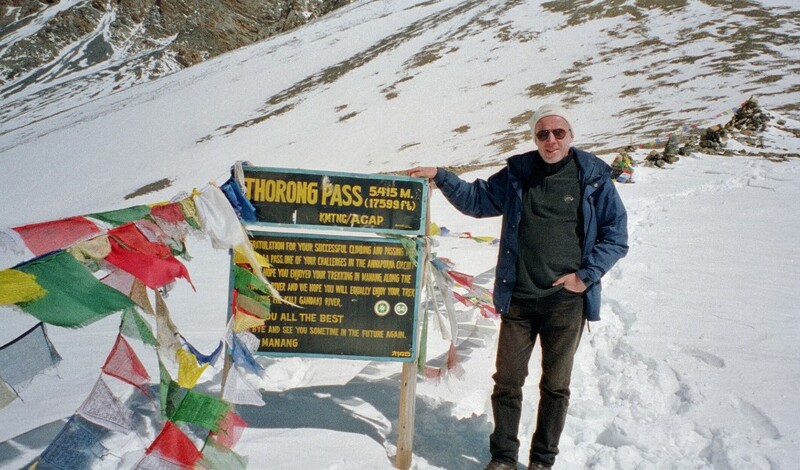 2001 in Nepal - Annapurna Circuit. The photos in this interview are from Axel's personal collection and we thank him for sharing them with us at NomadMania!